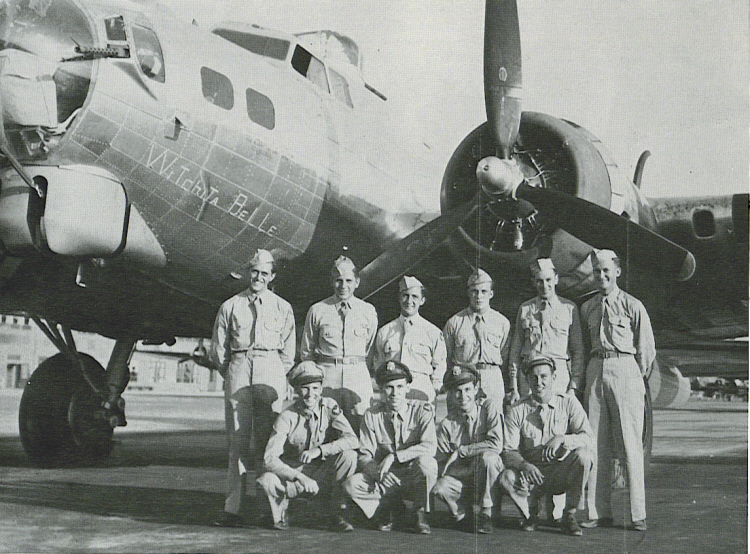 The Talbott Crew with "Witchita Belle," a training aircraft based in the US. Standing (l-r): Al Phomse Fruit, Joe "Moe" Howamec, Lombard, John Melneck, Bill Stewart, and Robert Jacobs. Kneeling (l-r): John T. Lyons, Talbott, Lucien L. Rainey, and Ainsa.